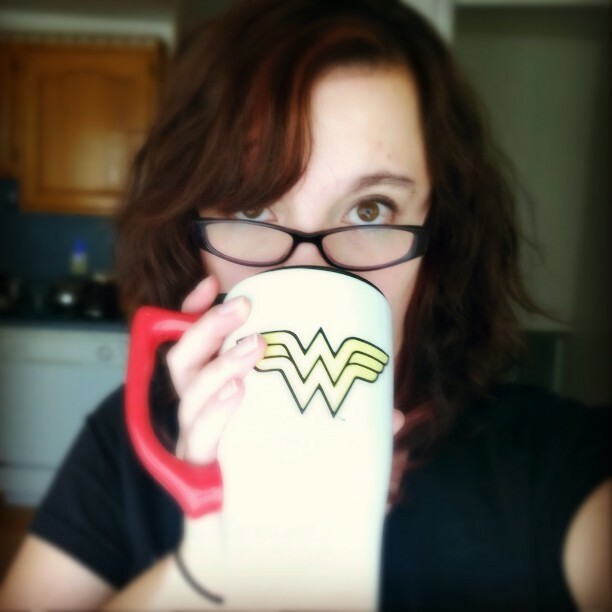 Almost a year ago I posted a review about Morgan Matson’s book Since You’ve Been Gone. 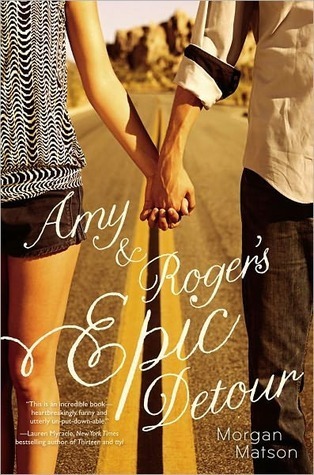 After reading it I bought another one of her books called Amy and Roger’s Epic Detour, which sat in my library for months and months until recently, when I decided to sit down and read it. Amy Curry is not looking forward to her summer. Her mother decided to move across the country and now it’s Amy’s responsibility to get their car from California to Connecticut. The only problem is, since her father died in a car accident, she isn’t ready to get behind the wheel. Enter Roger. An old family friend, he also has to make the cross-country trip – and has plenty of baggage of his own. The road home may be unfamiliar – especially with their friendship venturing into uncharted territory – but together, Amy and Roger will figure out how to map their way. 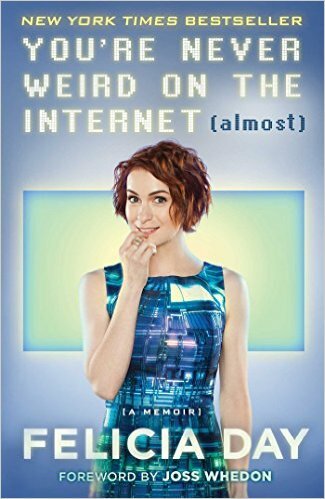 From online entertainment pioneer, actress, and “queen of the geeks” Felicia Day, You’re Never Weird on the Internet (Almost) is a “relentlessly funny and surprisingly inspirational” (Forbes.com), memoir about her unusual upbringing, her rise to internet stardom, and embracing her weirdness to find her place in the world. 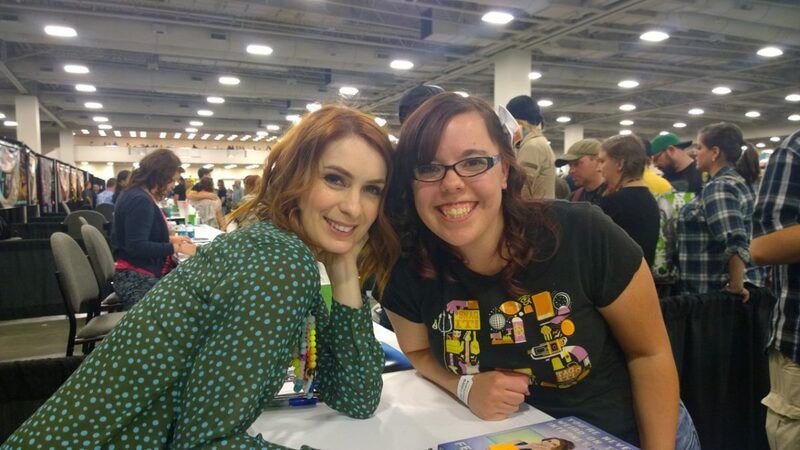 When Felicia Day was a girl, all she wanted was to connect with other kids (desperately). Growing up in the Deep South, where she was “home-schooled for hippie reasons,” she looked online to find her tribe. The internet was in its infancy and she became an early adopter at every stage of its growth—finding joy and unlikely friendships in the emerging digital world. Her relative isolation meant that she could pursue passions like gaming, calculus, and 1930’s detective novels without shame. Because she had no idea how “uncool” she really was. But if it hadn’t been for her strange background— the awkwardness continued when she started college at sixteen, with Mom driving her to campus every day—she might never have had the naive confidence to forge her own path. Like when she graduated as valedictorian with a math degree and then headed to Hollywood to pursue a career in acting despite having zero contacts. Or when she tired of being typecast as the crazy cat-lady secretary and decided to create her own web series before people in show business understood that online video could be more than just cats chasing laser pointers. Felicia’s rags-to-riches rise to internet fame launched her career as one of the most influen­tial creators in new media. Ever candid, she opens up about the rough patches along the way, recounting battles with writer’s block, a full-blown gaming addiction, severe anxiety and depression—and how she reinvented herself when overachieving became overwhelming. 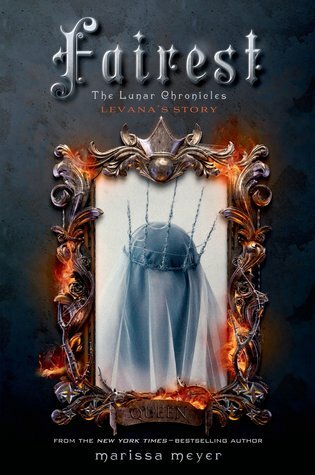 Long before she crossed paths with Cinder, Scarlet, and Cress, Levana lived a very different story—a story that has never been told . . . until now. 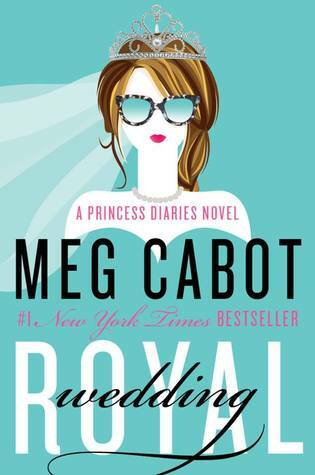 I really love a good book tag! All of these books are from my “To Read” pile which grew a lot more as I was looking for books that fit these descriptions. In the meantime, I tag Christa Mae at #ObsessiveGirlFan, Helen, Nikki at A Room of Ones Own , and Steph at NerdJoy and anyone else who would like to join (just send me a link so I can see the post)! Before Liz Lemon, before “Weekend Update,” before “Sarah Palin,” Tina Fey was just a young girl with a dream: a recurring stress dream that she was being chased through a local airport by her middle-school gym teacher. She also had a dream that one day she would be a comedian on TV. She has seen both these dreams come true. At last, Tina Fey’s story can be told. From her youthful days as a vicious nerd to her tour of duty on Saturday Night Live; from her passionately halfhearted pursuit of physical beauty to her life as a mother eating things off the floor; from her one-sided college romance to her nearly fatal honeymoon — from the beginning of this paragraph to this final sentence. 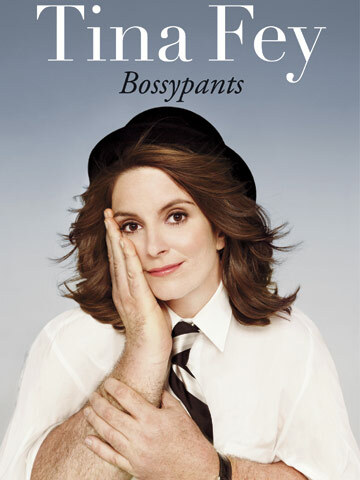 Tina Fey reveals all, and proves what we’ve all suspected: you’re no one until someone calls you bossy.